The last thing you want to hear from the IRS is that they’re conducting an audit on your taxes. This consists of the IRS carefully reviewing your taxes determine whether all of your income, expenses, and credits are reported accurately. While audits may sometimes be random, they are most typically initiated when there are major red flags in your tax filings. While everyone wants to make sure that they’re not paying more than they should on their taxes, no one should be deceitful when filing their taxes. This can result in major consequences that begins with an audit. In this article, we cover the top three reasons why people end up being audited by the IRS, giving you the inside scoop on what to avoid doing. There is no doubt that reporting expenses can be tricky, but you have to remember to only report expenses which are necessary for the career field you are in or for performing your job. These are the only types of expenses are eligible for a deduction. A home-office, for example, has expenses such as utilities, maintenance, and even a designated phone-line for the business. However, in order to qualify for this deduction and report these expenses, the home-office must be your principal place of business and not just a place where you sometimes answer calls and respond to emails. In addition to reporting expenses which aren’t essential to your job duties, a huge jump in your expenses from the prior year can also raise a red flag. The bottom line is that all expenses should be justified—if you feel you deserve it, then report it, but nothing more. 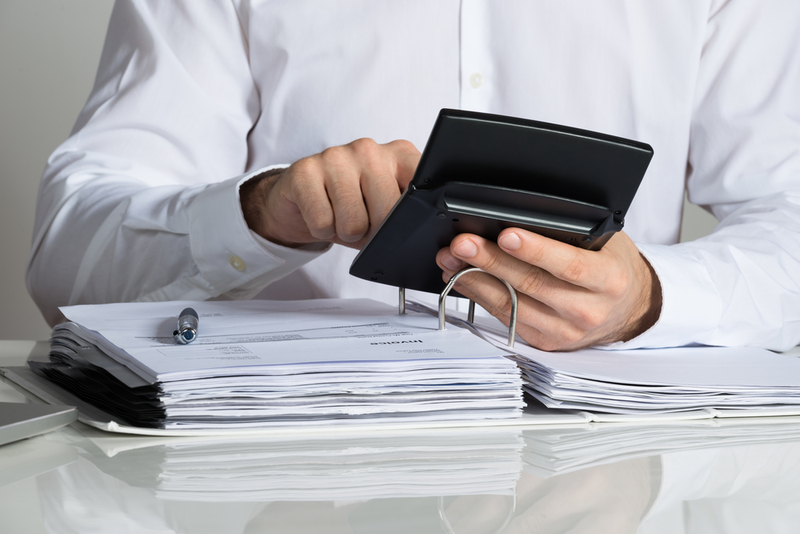 If you do report a lot of expenses, make sure to track all expenses by keeping good records and receipts. This is particularly relevant to those who are self-employed, do freelance work, or collect stock dividends. It may be tempting to report only your central stream of income on your W2 and avoid reporting these “nonwage” incomes (as they are referred to as) on your 1099. Do not make this mistake! Most often it is the case that the IRS already knows about these other sources of income considering nearly all companies who pay you report having done so to the IRS. According to data from the IRS, people in higher tax brackets and people who report no income at all are the two groups who are most likely to be audited. Make sure you report all your sources of income to avoid an IRS audit. Whether it’s writing a 6 instead of a 9, leaving off a 0 at the end of a number, or reporting figures that don’t add up, you need to make sure to avoid math errors. While this may seem quite obvious, the number of audits triggered by silly math mistakes are surprisingly high. One of the first things the IRS checks is to see if all of the numbers make sense at a basic level. Even with tax software, this is still a major issue. Make sure that all of the numbers that you transfer from your statements into the software are accurate. We also suggest doing a quick double-check just to avoid any future problems. The extra few minutes of time this requires will ensure that you don’t get selected for an audit due to a silly mistake. Also, click here to see how far back the IRS can audit. Following these simple steps can help avoid the IRS choosing you for an audit. However, if it is the unfortunate case that the IRS has chosen to audit you, our team of tax attorneys, CPAs, and tax professionals at IRS Audit Group is here to help. Call us today at 1-888-300-6670 if you have questions or need help, and visit our blog for more helpful guides.